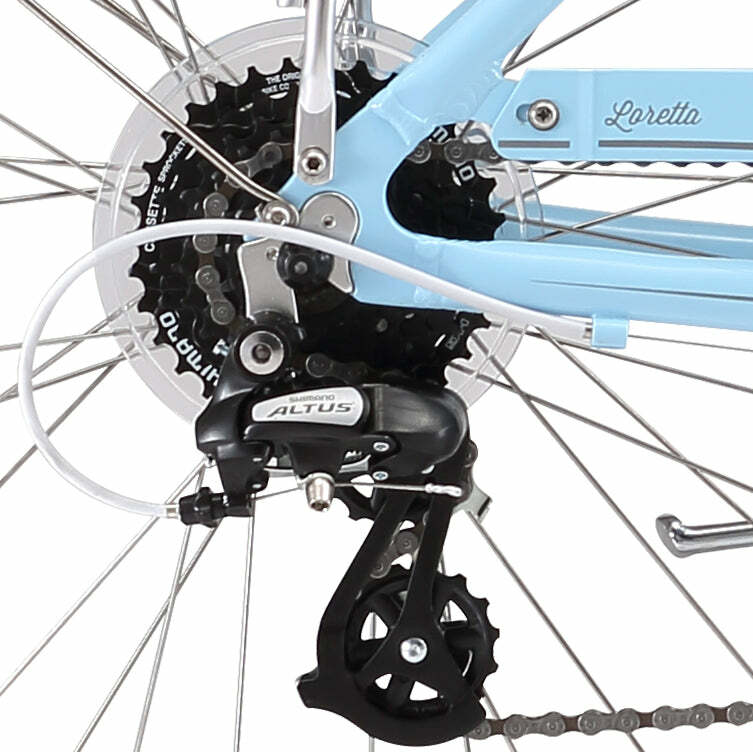 Define your style with the XDS Loretta retro bike. 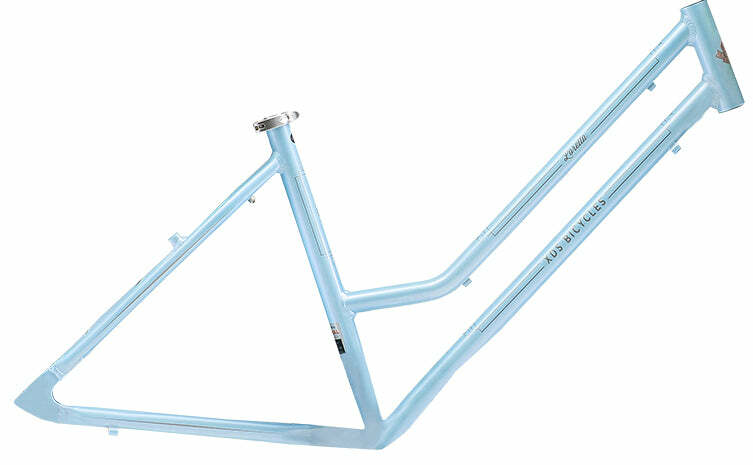 Make a statement with a cool blue finish, colour matched fenders, front basket and a rear rack. Stay comfortable with a low step-through and lightweight alloy frame. 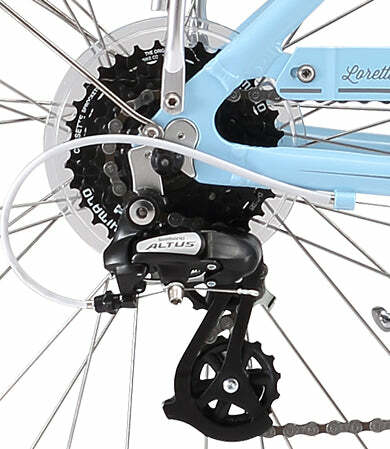 Ride smart with a 7-Speed Shimano Altus Drivetrain, and reliable Tektro V-Brakes. Complete your vintage look with the XDS Loretta retro style bicycle. 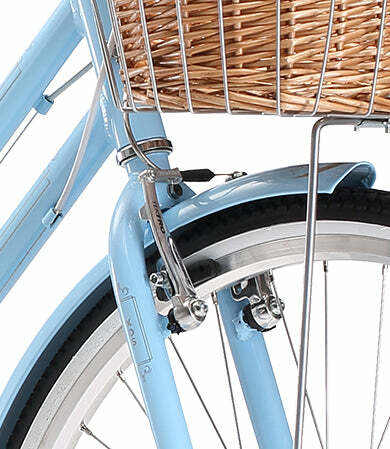 With the Loretta you’ll return to the effortless grace of cycling in a bygone era. This bike emphasises style through simplicity without sacrificing comfort. 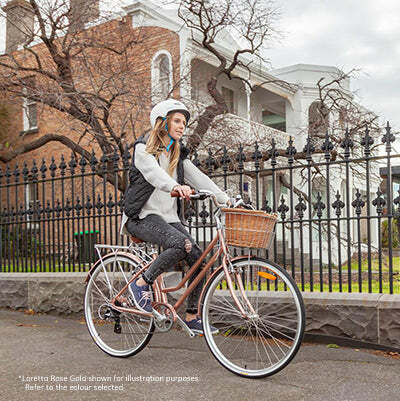 The Loretta’s aluminium alloy frame both emulates a classic style of bike, and focuses on comfort and control. A lightweight and stiff alloy frame allows riding to be both agile and efficient. 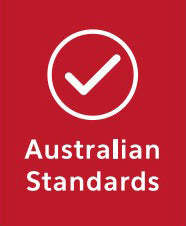 Mounting and dismounting is simple and safer over the low step-through frame. Ride with confidence in any outfit with colour matched mudguards and chainguard that keep you clean from the grime of the road and grease of the chain. Painted in a fresh icy blue, the Loretta is cool and eye catching in any occasion. 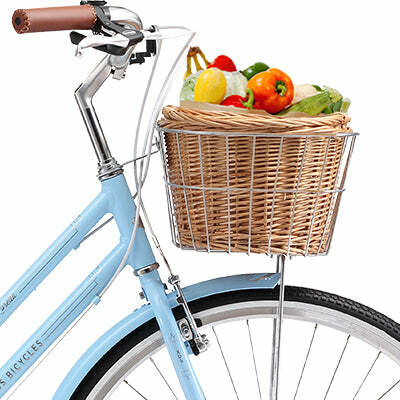 The colour is offset by a front wicker basket that offers a practical option for storage, along with a rear alloy rack. 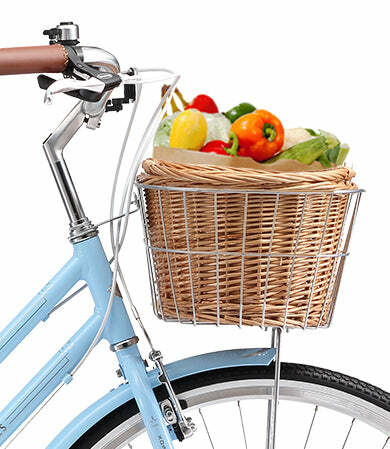 Wide sweptback handlebars and a comfort sprung saddle encourage a healthier riding posture. The Loretta makes it easier for you to get around. Take charge of the 8 speed Shimano Altus Drivetrain to simplify your ride through undulating terrains. Find even greater control with reliable Tektro V-Brakes. Control your descent gently or stop urgently with a trustworthy braking system. 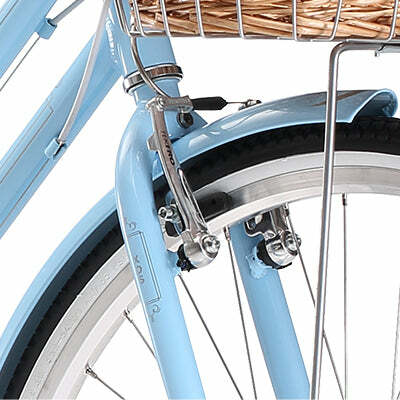 Discover the effortless charm of the XDS Loretta retro style bike. The comfortable Cionlli rail and spring saddle and swept back handlebars encourage riding with an upright posture for better spinal support. Frame Sizes 15", 17", 19"